Spinal fusion is performed in the treatment of severe back pain or neurological deficit that has not responded to conservative treatment. The symptoms are caused by compression on a nerve or nerve root, commonly as a result of: damaged discs (discogenic pain or degenerative disc disease), abnormal slippage and motion of the vertebra (spondylolisthesis or spondylolysis), or other degenerative spinal conditions, including facet joint degeneration. Spinal fusion may be indicated for any condition that causes excessive instability of the spine, such as certain fractures, infections, tumours, and spinal deformity (such as scoliosis). Treatment is achieved by decompressing the nerve and preventing motion at the effected segment and allowing for the adjacent vertebrae to permanently fuse. The Southern Spinal Fixator System is designed to provide immobilization and stabilization of spinal segments to facilitate fusion. This is to treat instabilities or deformities of the thoracic, lumbar and sacral spine (T11-S1). The devices include; pedicle screw, spinal rods, caps, cross linkage blocks and rods, pedicle and laminar hooks. The SOLFIX2 range provides a user friendly system for accurate and rapid implantation of pedicle screw constructs. This system has been proven to be clinically successful since inception in 2009. Reliable primary fixation and secondary fixation has have been accomplished by designing the screw specifically for high 'pull out' strength. This has been accomplished by a self-tapping thread design and unique surface finish which osseointegrates rapidly. 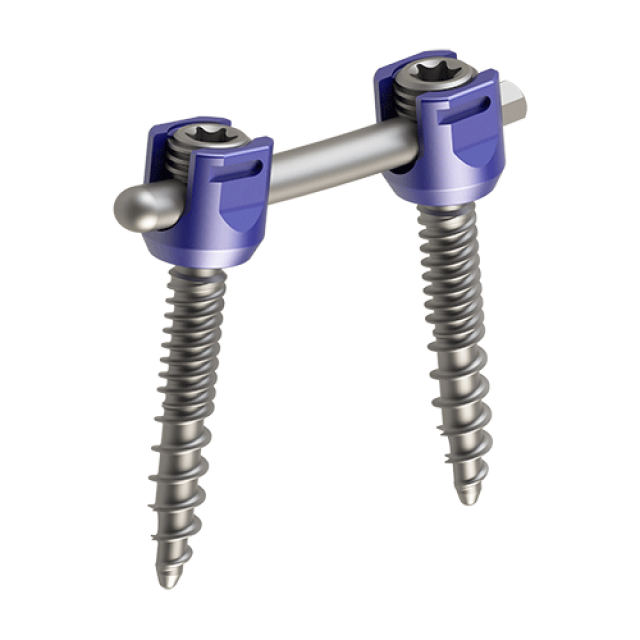 The poly-axial screw heads align easily with the spinal rods to reduce procedure times. An extended head version is offered to assist with scoliosis cases. The screw head is manufactured to prevent cap cross-threading and withstand generous tightening torque. 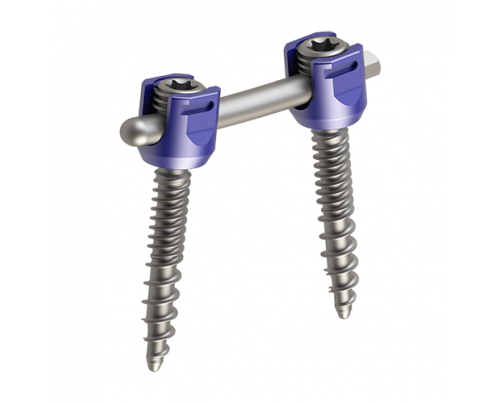 The SOLFIX2-FA (Favoured Angle) pedicle screw range is designed to perform a posterolateral fusion which results in a construct that allows for maintained disc height and lordosis, without an interbody fusion cage. The SOLFIX2 system must be used in conjunction with an interbody fusion cage, such as the Southern Anterior Screw Cage (SASCA™) or the Southern TLIF.